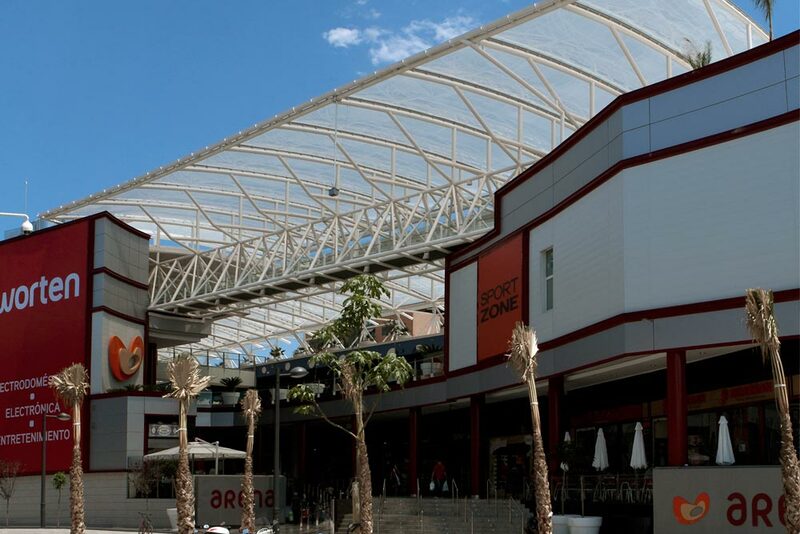 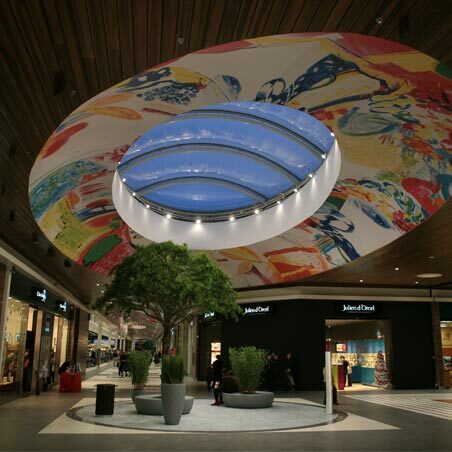 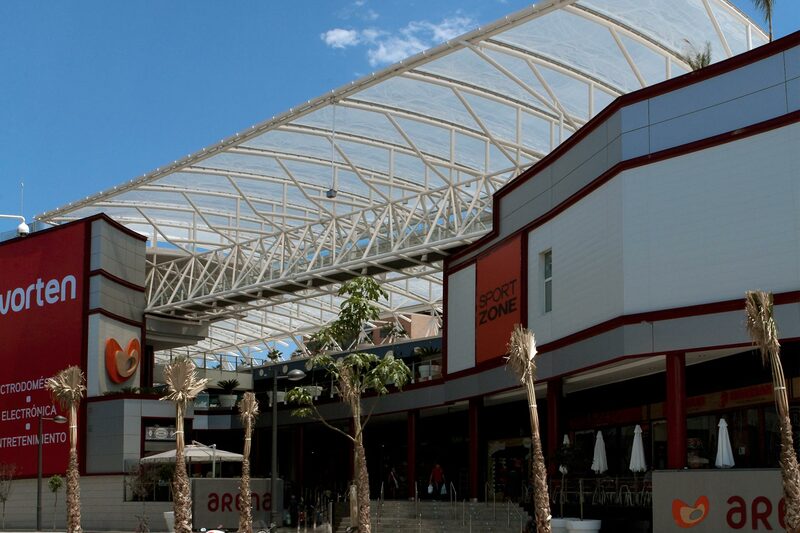 The Arena Multi-space Commercial Centre brings together nearly a hundred shops dedicated to fashion. 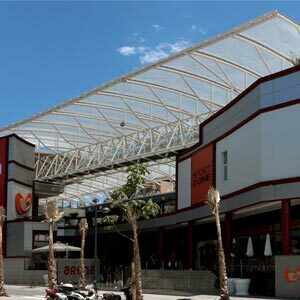 Chapman Taylor requested a large canopy of 6,000 m2 to protect and convey an open-air experience. 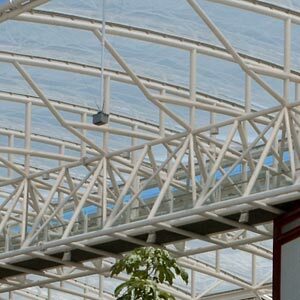 Three-tier structure. 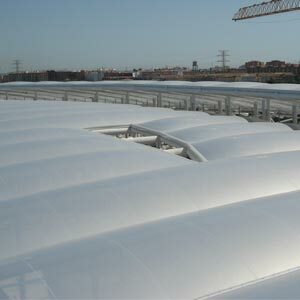 Allows natural ventilation inside and smoke evacuation in case of fire. 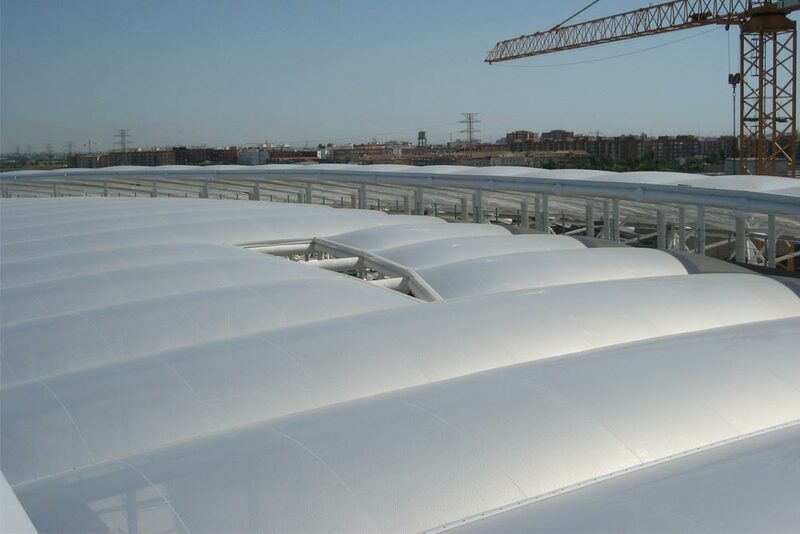 Our challenge: optimizing weather conditions, enhancing and promoting business activity, by means of an ETFE transparent covering. 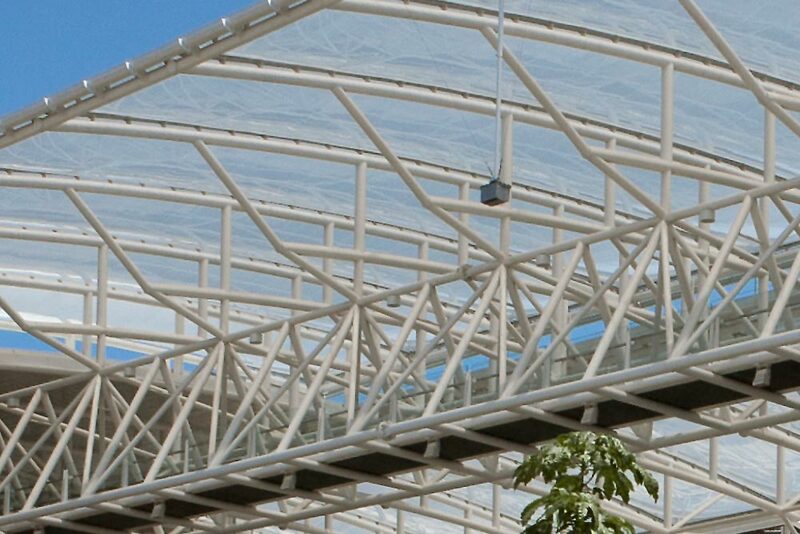 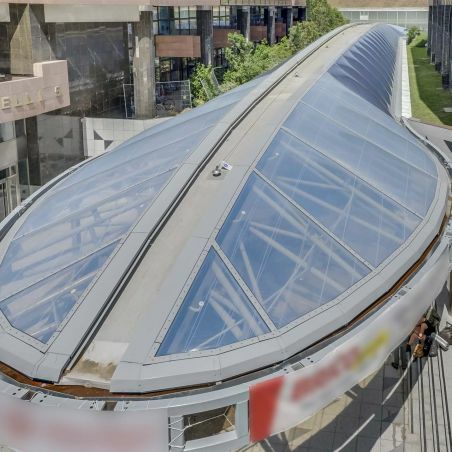 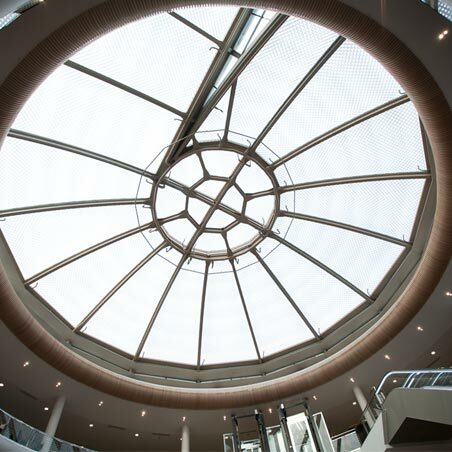 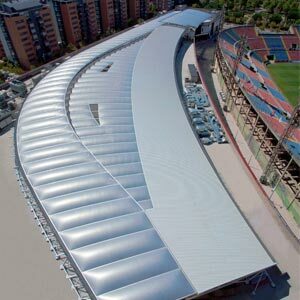 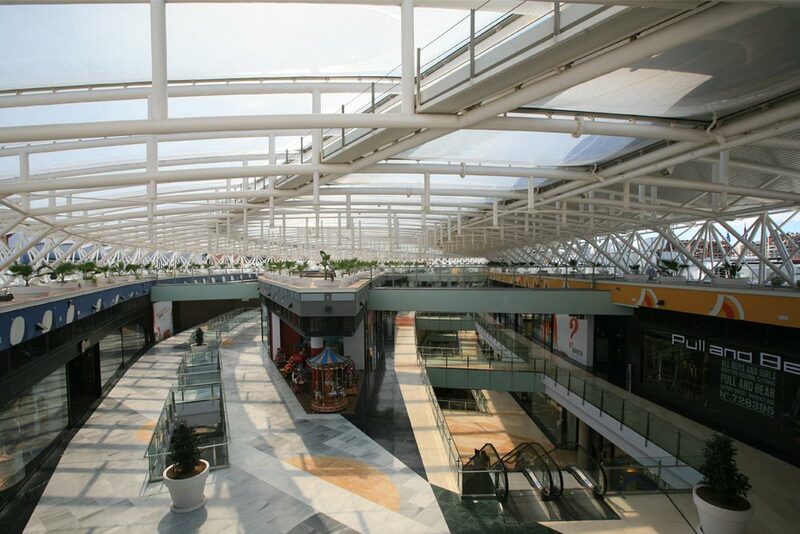 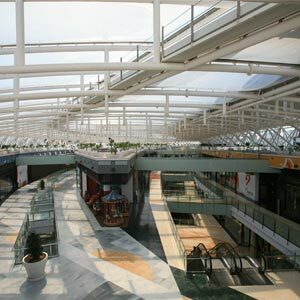 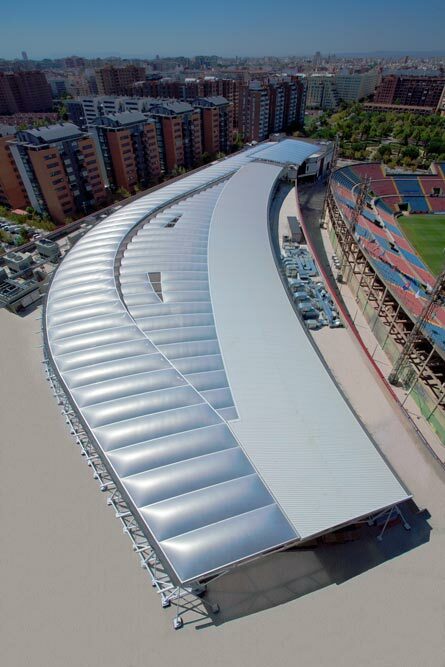 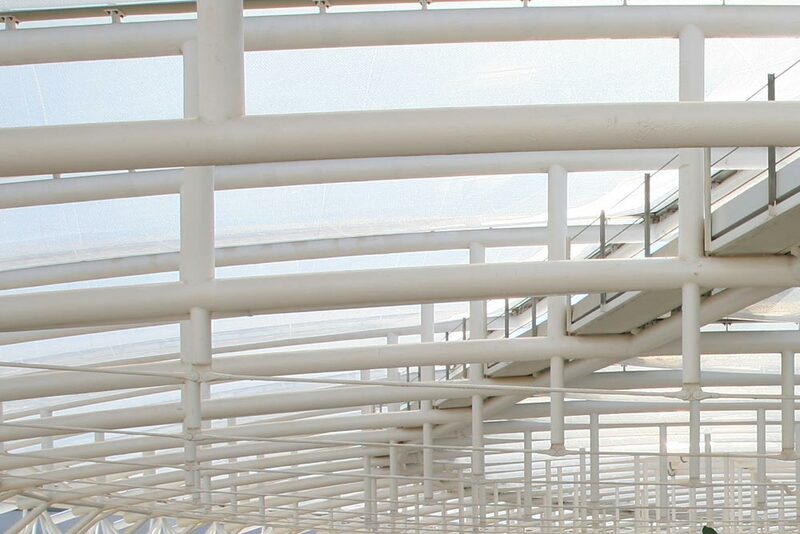 It is constructed with two or more closed ETFE laminates in its perimeter and supported with a perimeter anchorage system. 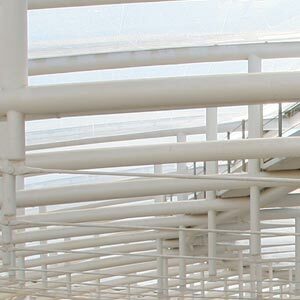 Requires an air inflation system in low humidity and at low pressure (250 Pa), which is produced by a unit consisting of fans and air distribution ducts. 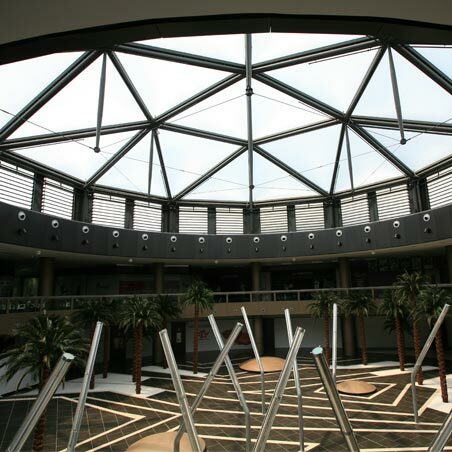 IASO solar control system cushions, which by movable intermediate layers and with an upper layer and printed intermediate to modify the passage of light and solar radiation.